Mossberg is now putting Lightning Bolt Action Triggers in all of its centerfire rifles. The trigger can be set anywhere from 2 pounds to 7 pounds pull weight by simply turning a screw, and safety is assured because even when the trigger is at its lightest setting, a jolt will not cause the rifle to accidentally fire. 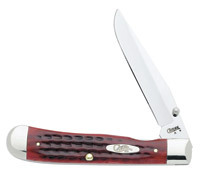 A special safety blade located inside the regular trigger blade positively blocks the sear from releasing the striker until both this safety blade and the trigger are simultaneously pulled by the shooter’s finger. To test the new trigger system, we ordered a 100ATR (Mossberg’s least expensive centerfire rifle) chambered in .243. 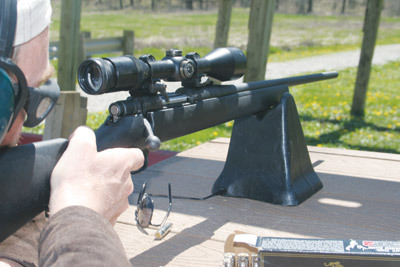 The rifle was first offered four years ago with a trigger that could not be adjusted by the shooter, and at a real-world price of a little over $300, the no-frills rifle’s MOA accuracy still earned a thumbs-up from value-minded hunters. Since the LBA trigger comes from the factory set at the lightest 2-pound pull weight, we saw no need to adjust before test shooting. 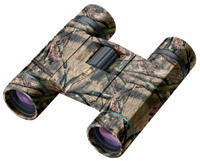 Factory-installed Weaver scope bases (also standard equipment) made it easy to install a rifle scope. The first shot at 25 yards confirmed the bore sighting, and the next three punched a cloverleaf hole in the target. After scope adjustment the target was moved out to 50 yards and then 100, where the rifle maintained MOA accuracy shooting Winchester Ballistic Silvertip 95-grain loads. The LBA trigger felt crisp with no discernible creep. 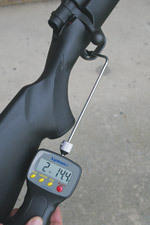 A digital gauge verified the pull weight at 2 pounds 4 ounces, with the safety release blade adding the 4 ounces. The 6-3/4-pound rifle handled well, and the bolt cycled rounds from the four-shot internal magazine without a hitch. We removed the barreled action from the stock to reset the trigger pull weight, and a full turn of the adjustment screw increased it to 2 pounds, 14 ounces. The next turn took it up to 3 pounds, 5 ounces. A third turn took it up to 5 pounds, and a final 3/4-turn topped it out at 7 pounds, 4 ounces. Then we turned it all the way back down, checking along the way to make sure the various screw settings still produced the same pull weights, which they did.